Ever venture to a gallery or museum and lust over the largest art in the house? At some point in the gawking process, a sinking feeling rushes over you. Thoughts like, ‘this could never work in my home’ and, ‘there’s no way I can have a piece of art this majestic, this bold, or this dreamy’ flood your mind. But…why not? You may not be able to take home that Pollock piece, but don’t completely write off large wall art in your home. The intimidation factor is real, we get it. Oversized wall art, whether painting, photographs, archival maps or architectural blueprints, is typically left to the pros. Pesky measurements and loads of prep work are less appealing to dive into each time you click with a larger-than-life piece. 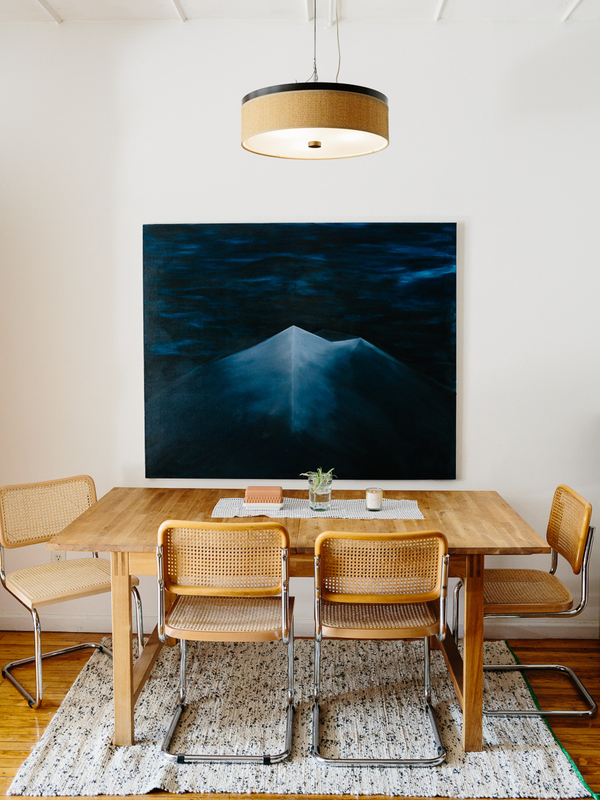 That’s why we wanted to share our best tips for large art; so you can take the plunge on the biggest pieces guilt-free and don’t have to reinvent the wheel when it comes time to hang. 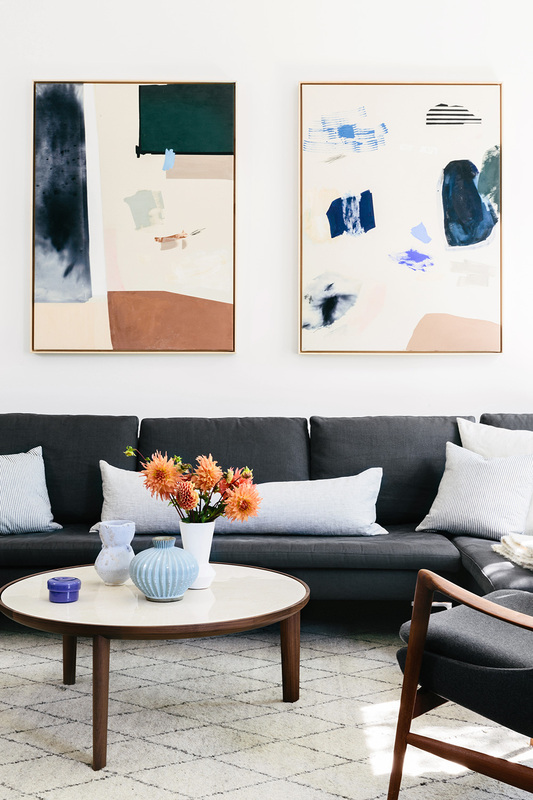 Whether you’re a large art newbie or a seasoned veteran, using our go-to guide as a consistent reference will make incorporating large-scale artwork in your home a breeze. First up: the king and queens of versatility, our no. 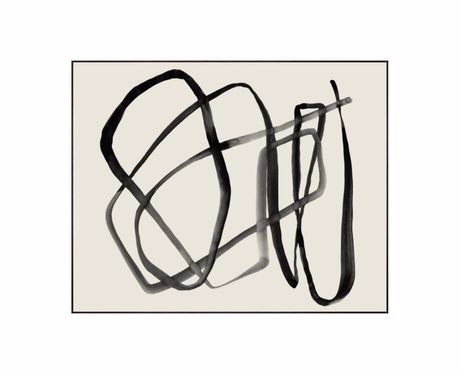 1 favorite category, the bold and the beautiful: the abstract painting. Framed canvases and patterns can light up your walls, or neutral hues and large paintbrush strokes can give your space the calming edge it needs. Choose minimalistic art for consistent relevancy even after years pass. If realism is more your scene, go large with photography for the ultimate statement and attention grabber. Photographs are the perfect way to reflect your personality. There are so many varying styles from detailed shots of fauna & botanicals to stunning landscapes, and even quirky portraits. When you go big, the details will be tangible and the mood will fill the room. Bold or earth tones, landscapes or portraits - you can’t go wrong with a large photograph framed to perfection. We spend a lot of time in the dining room. Whether entertaining family and friends or indulging in your favorite home cooked meal, this typically formal space is the perfect foundation for a large, abstract piece of art to generate conversation and homely vibes. The pairing of Black Strokes I & II above the Elements Console. See the full Hilltop Home reveal, here. Try cooler tones for a neutral aesthetic, or warmer to complement longer wooden tables and chic farmhouse feels. We recommend sticking with abstract and bold to easily match table settings and mismatched chairs. The entry is one of our top favorite spots for art. Let’s be real: between removing jackets and boots, tossing the keys in the drawer and greeting guests, we spend more time than we think by the door. What better way to jazz up a conversation and set the mood for the home than with a welcoming piece of art? Hang it over the console table for a lovely greeting. A table combined with framed art, a tasteful lamp, and catch-all bowl draped with beads? The recipe for a perfect entryway scene. Be sure your favorite pieces won’t go unnoticed above the cozy, bold fireplace. Hang an attention grabber for a more formal setting above the mantel, or try another trick for a more laid-back or eclectic vibe: lean your artwork on your mantel instead of hanging. This look is edgy and casual and provides for a chilled out aesthetic that can be changed as much as your mood and inspiration lend itself to. Our top tip for leaning? Select frames in varying sizes and shapes to create depth. This intimate, private space should feel like you. What makes you want to cozy in with a good book and read? Choose what inspires you to relax. That oversized headboard or bed out of budget? Elevate the space with a large piece of artwork hung directly over the bed to frame the room and keep it grounded. If your sofa is against the wall, consider framing it with a large piece of art or a gallery wall. If you’re working with a buttery leather couch or a velvet dream, you can easily choose complimentary colors to bring out the hues and style with pillows and throws for a cozy atmosphere. Strewed Blues as seen in the Modern Tudor Library. III. TO GALLERY WALL OR NOT? High impact art that makes a statement can sometimes be a deal breaker on the wallet. 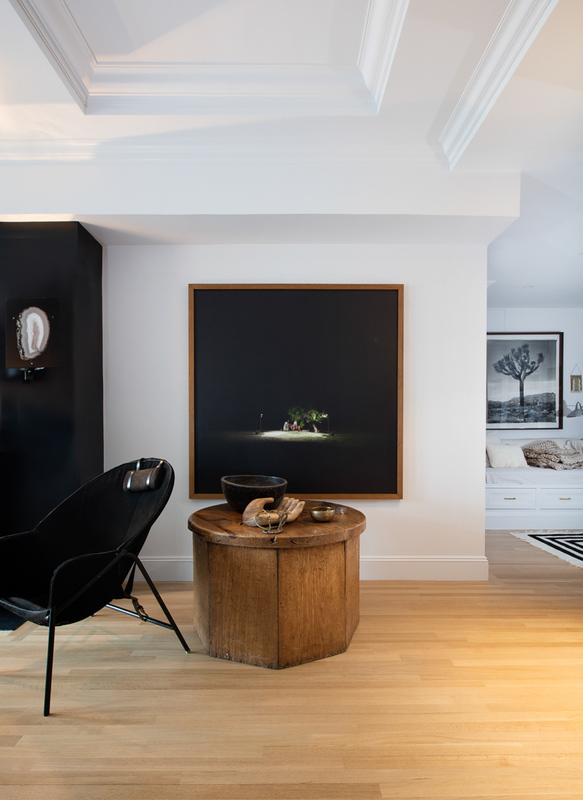 If you have multiple pieces of art you can’t wait to hang, consider a gallery wall. This cuts down the price that accompanies large art and allows you to feed your creativity. 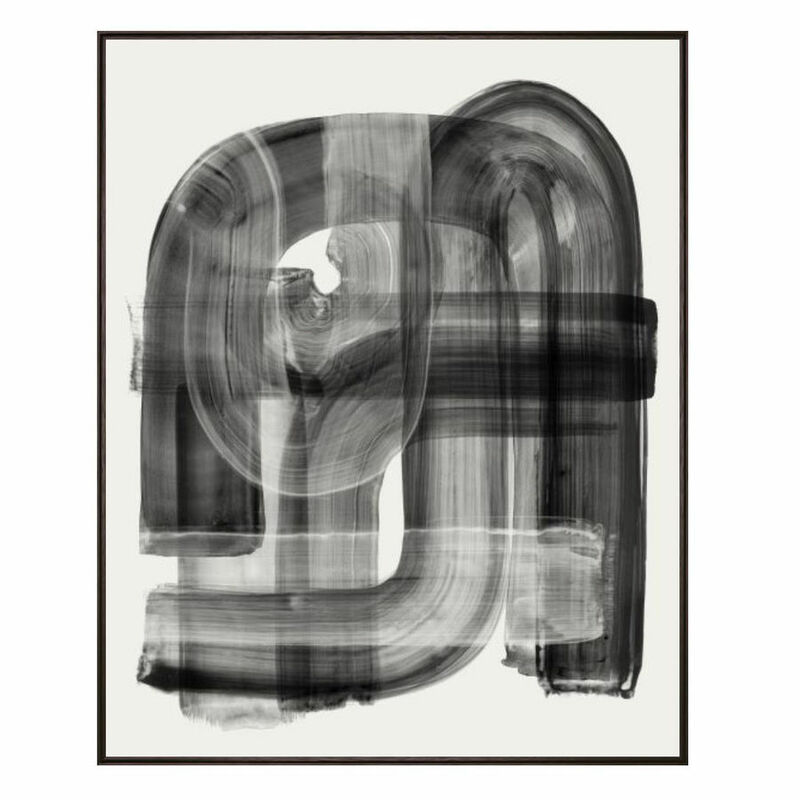 Found the right artwork and can’t wait to hang it? Be sure to find the right height to hang your new art before you break out the hammer. Save our references below to make sure you hit the right height, no matter which room you decide to showcase your new piece. Hang artwork between 57-60” from the floor to the mid-point of the piece. Lean towards 60” if you’re on the taller side. The perfect distance between artwork and the headboard is 8-10”. There’s something about the biggest art that sets the heart eyes in motion. Could be its potential to make a statement, its feel-good qualities and ability to make a room appear whole and grounded. Now, you can go big *and* go home. Use this guide any time you get the inkling to invest in art and hang it big. Check out the rest of our favorite pieces available here, on sale for a limited time!